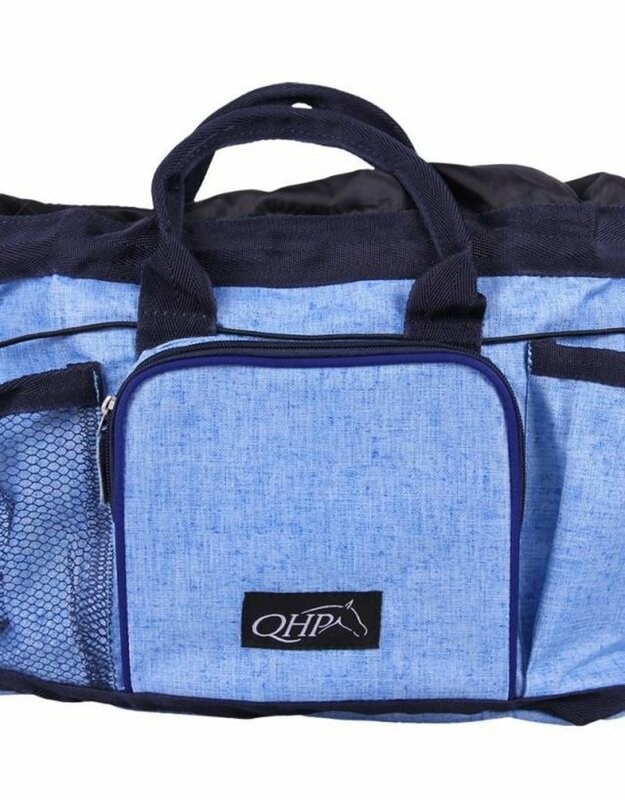 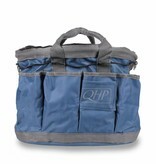 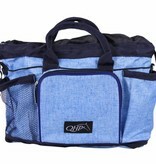 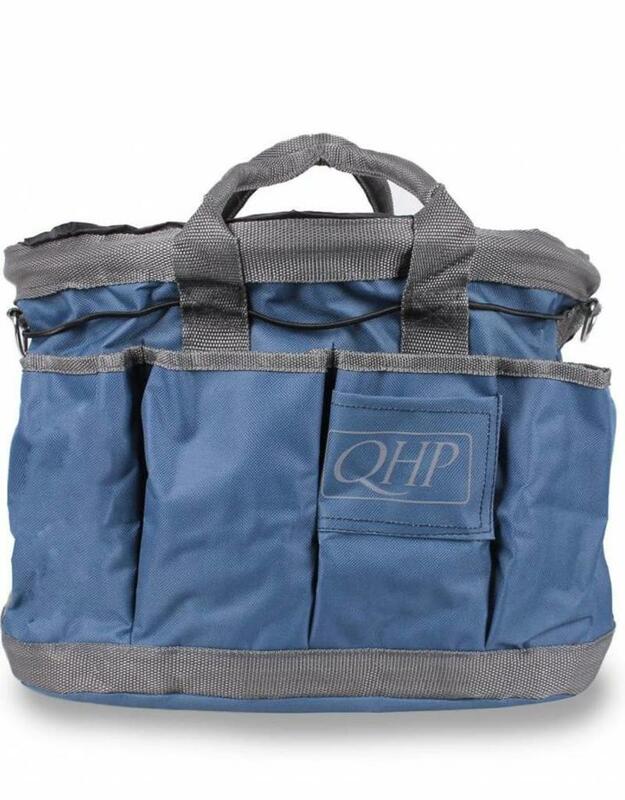 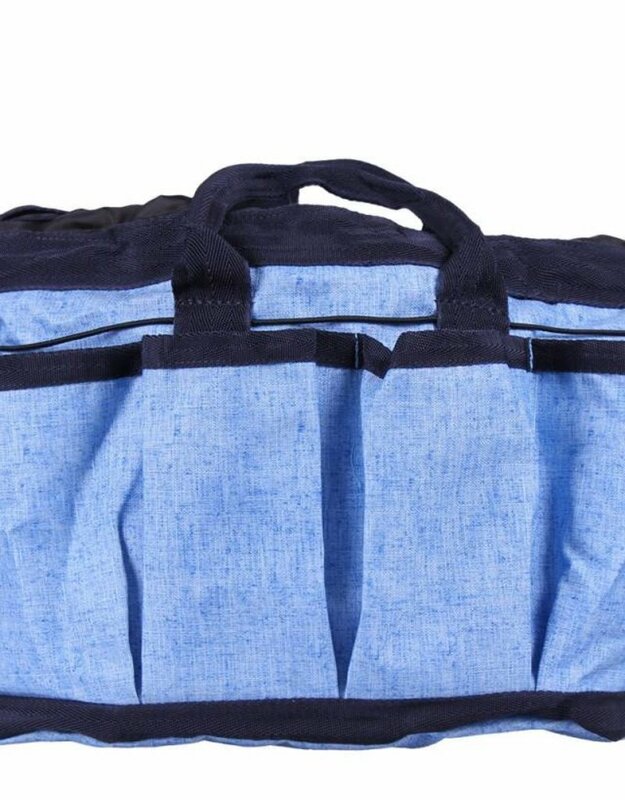 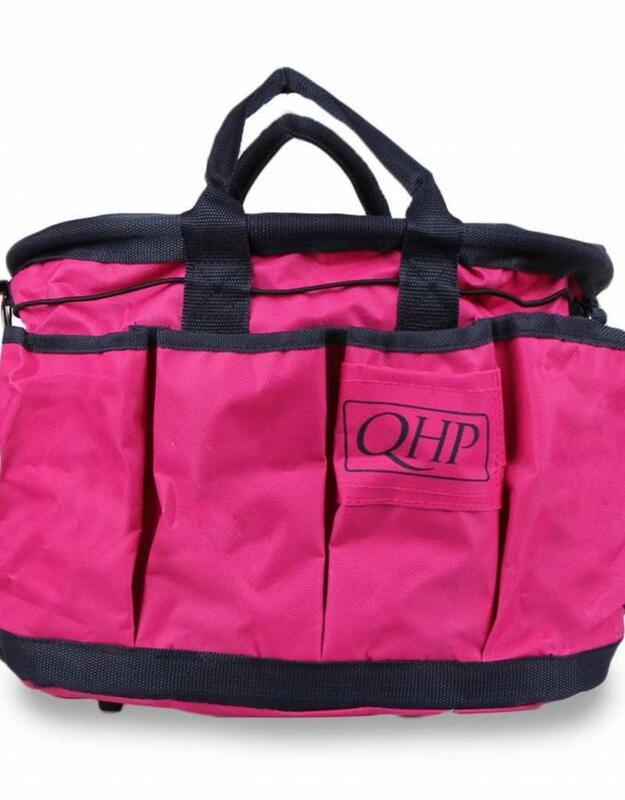 This Grooming Bag is perfect for storing your grooming tools. 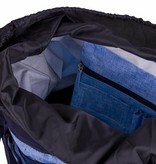 Most frequently used brushes can be stored in the front pockets. 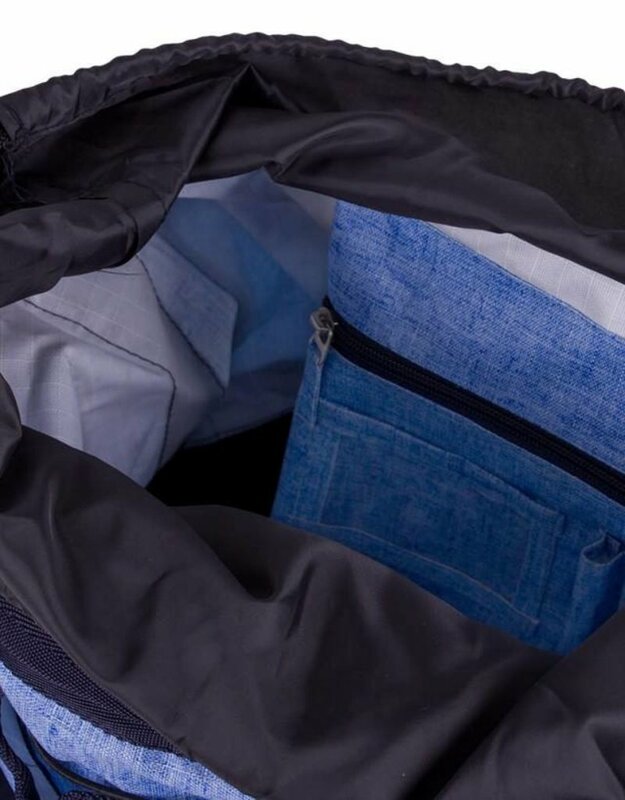 Large closable compartment holds most of your items. 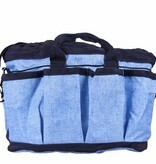 It also contains a seperate zipper bag for small items. 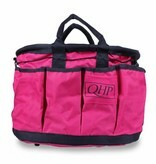 Comes with handles and clever removable shoulder band.